Are you tired of spending more on fertilizers, but not getting better results? Have you experienced underperforming plants or poor harvest? Do you have disease problems affecting your plants that come back year after year? Are you thinking about transitioning to organic, and you want to make sure your transition is a winner right out of the gate? Would you like a soil building system to improve upon what you are already doing? 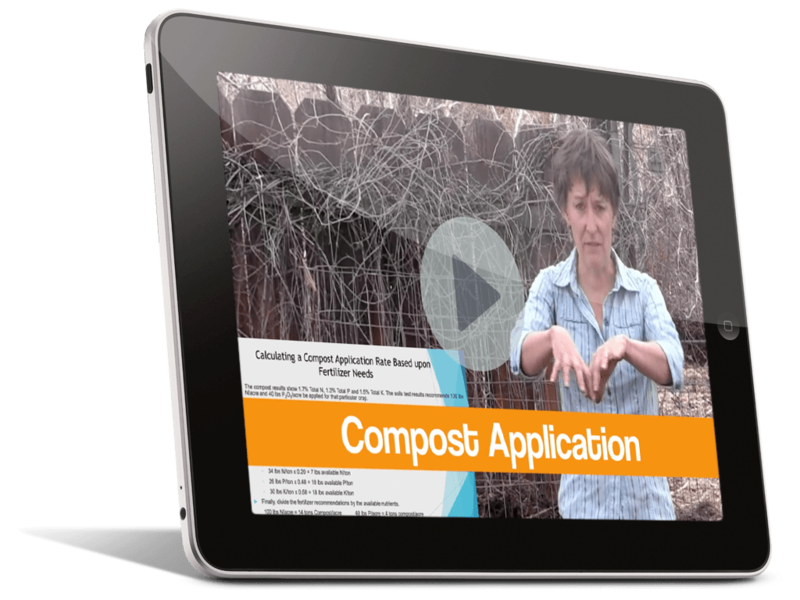 Positively Compost is a 9 module online video workshop that teaches all elements of thermal aerobic composting. We're going to provide you with step-by-step instructions on how to produce the highest quality compost, specific to the plant type you are growing. 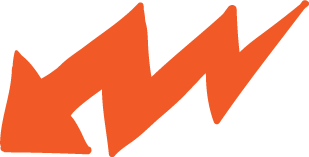 It's a revolutionary approach that even the most seasoned professionals are just discovering. We're going to give you time saving short-cuts and other tricks that can get you compost in record time, with the least amount of effort. We're going to keep you from making fatal mistakes, while giving you tons of guidance on key areas of compost making, so you don't end up with compost you can't use. ...because targeted, high quality organic inputs will create a soil environment optimal for plant growth. Predictably! 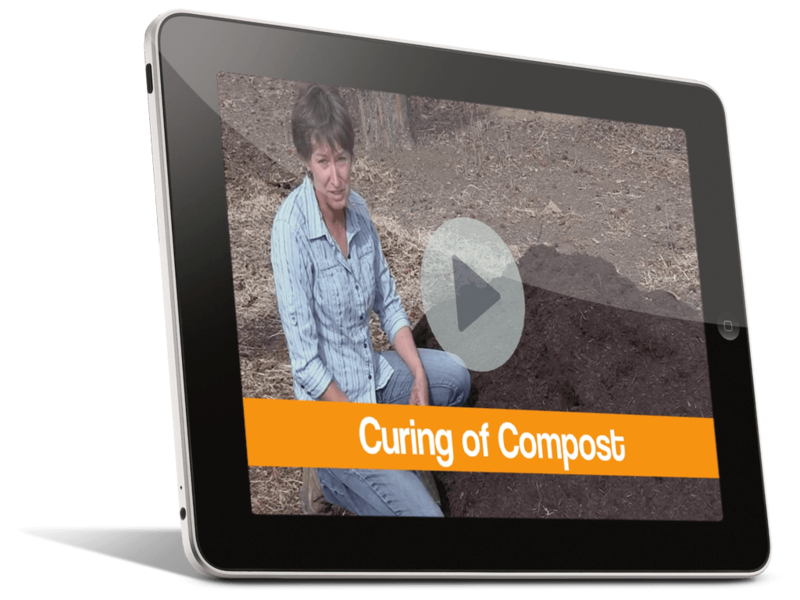 Each of the 9 video lessons will cover the steps in the Compost Building Workshop, and by the time we're finished, you'll have all the knowledge and assets you need to roll out your own composting system. We begin at the foundations of what exactly is thermal aerobic compost, and specifically what it does for your plants and soils. We'll also cover the different stages of composting so you can know what to expect once you build the pile. There is a lot going on at the microscopic level. We'll cover the role of different organisms in compost and how they tie into the soil food web necessary for creating and maintaining plant health. This will lay the foundation for building the right type of compost pile, specific to the type of plant you're growing. The BIG SECRET is revealed here. Carbon to Nitrogen ratios are always cited in making compost, but do you know their importance? We'll cover how C:N ratios work, and the C:N ratios of different types of raw materials for the pile. We'll then tie it all into the type of compost pile you are building. 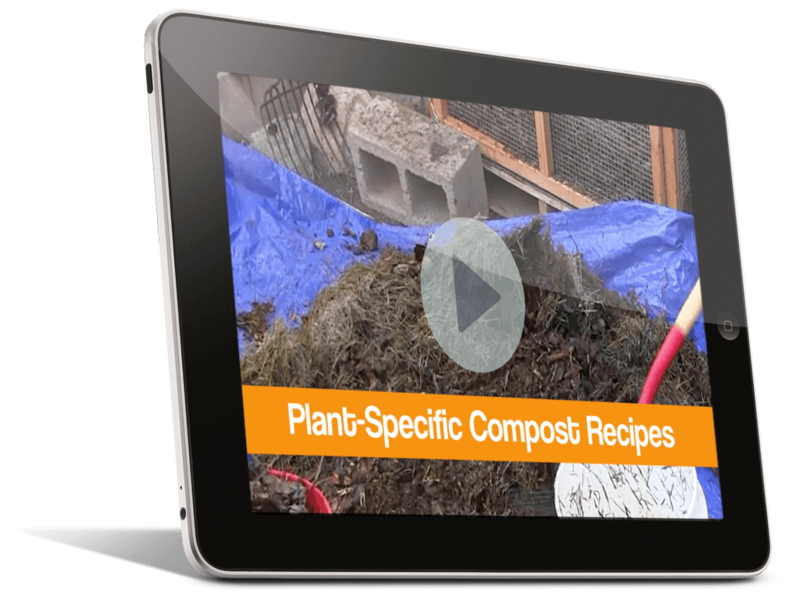 There are three main types of compost recipes. The ratio of the different raw materials will be different for each of the 3 recipes. The compost recipe you choose will depend upon the type of plant you are growing. We go over these three plant-specific recipes, and help you figure out which one to use. There is nothing more time-wasting than not having enough or too much of the raw materials when you are building the pile. We'll cover the simple calculations you can make in advance, so that when it comes time to building the compost pile it will go smoothly every time. Fear not, this is math you learned in high school. 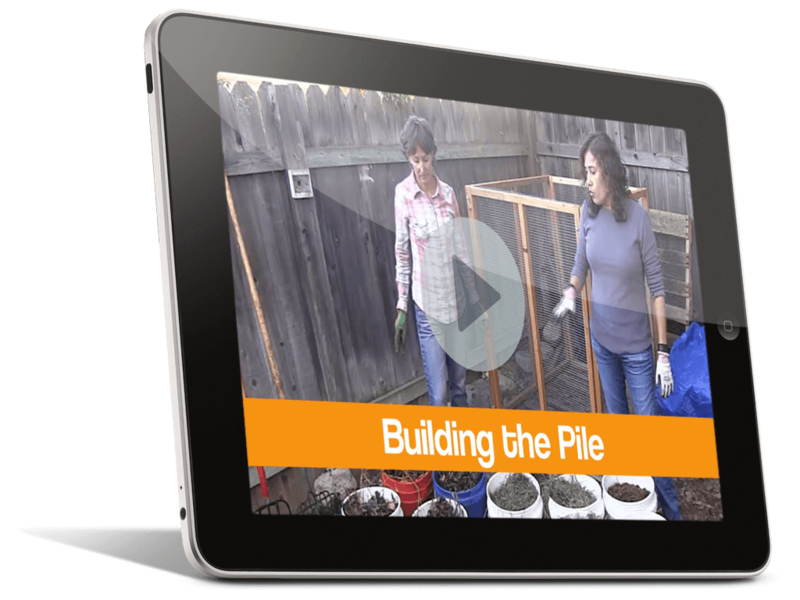 You'll witness a hands-on demonstration of three different methods of building the compost pile and the equipment you'll need to accomplish the task. Key tips on measuring, mixing, watering and venting should not be missed. Probably the most crucial step in being successful. Key factors in monitoring for temperature and moisture will be covered in detail. We'll provide a turning schedule that will make it crystal clear when the pile should be turned. Our step-by-step procedure and downloadable instructions will help ensure all the material is thermally heated, and that your compost will be weed and disease free. Even advanced professionals can mess up when it comes to curing and storing compost. We'll go over every detail needed to make sure your compost just gets better with age, and how best to store it. 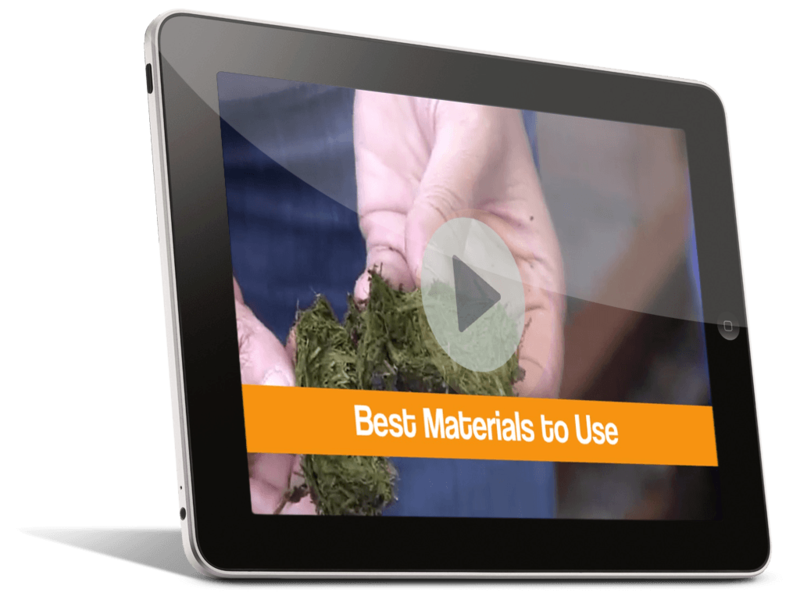 This is what every gardener, grower and rancher needs to truly revolutionize their growing. I'd like to help YOU create your very own Soil Building System. The Positively Compost System Just. Flat. Works. 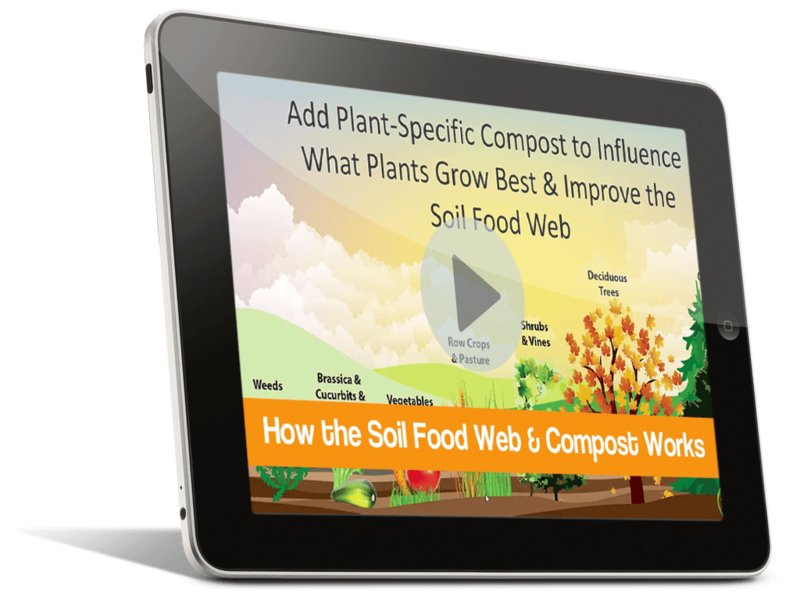 So, whether you're a casual backyard gardener or a massive enterprise, Positively Compost - a complete online workshop, will work for you! "Really great step by step instructions!" 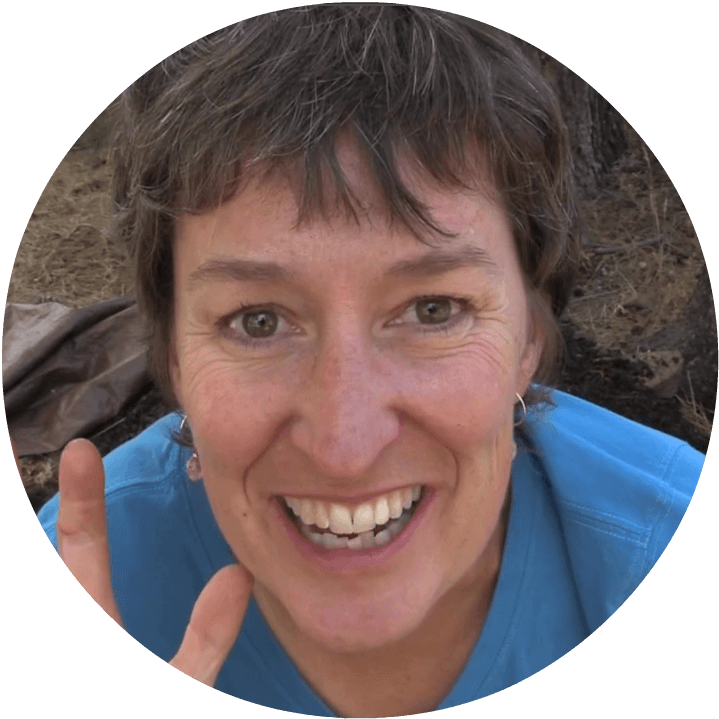 Jen S.
"I was able to improve my composting and spend my energy efficiently" Laura M.
"Positively Compost" is for you if you're serious about having healthy, productive plants. "Positively Compost" is for you if you want to develop a soil environment that fosters the most productive plant growth, optimal growing conditions and consistent release of nutrients for long-term sustainable harvests. "Positively Compost" is for you if you are tired of spending more on fertilizers, but not getting better results. "Positively Compost" is for you if you experience underperforming plants and poor harvests. "Positively Compost" is for you if you have disease problems affecting your plants, and come back year after year. "Positively Compost" is for you if you are thinking about transitioning to organic, and you want to make sure your transition is a winner right out of the gate. 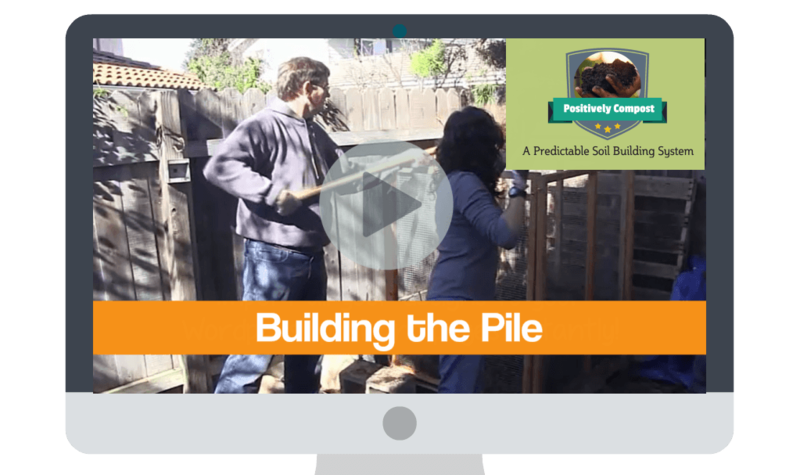 "Positively Compost" is for you if you would like a soil building method to improve upon what you are already doing. "Positively Compost" is NOT for you if you want to continue to pour poisons and other toxic chemicals on the food you grow. "Positively Compost" is NOT for you if salty, synthetic fertilizers that pollute the groundwater, and kill beneficial organisms, is what you want to continue to use. "Positively Compost" is NOT for you if you want to continue to work AGAINST nature, rather than WITH nature, and to degrade your soil. 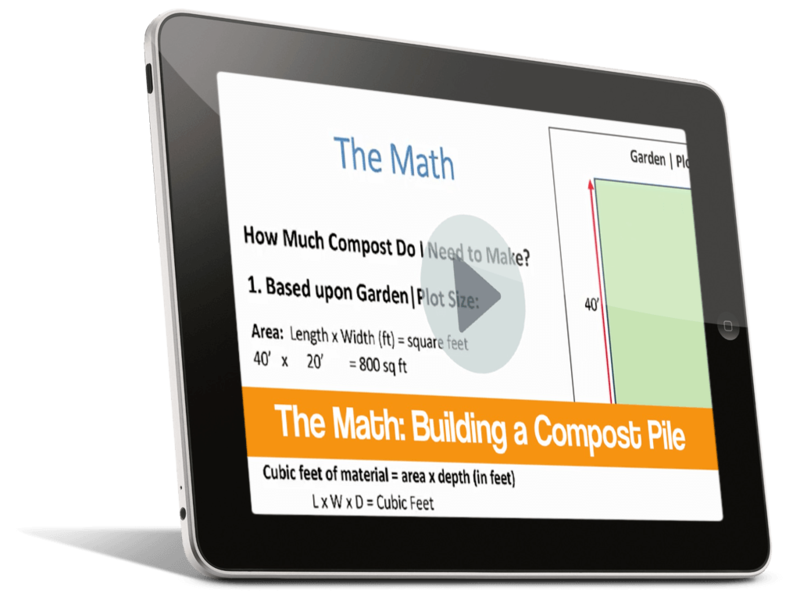 Downloadable worksheets, summaries of topics and even volunteer quizzes are included, so that you can easily refer back to the materials, and test your understand. 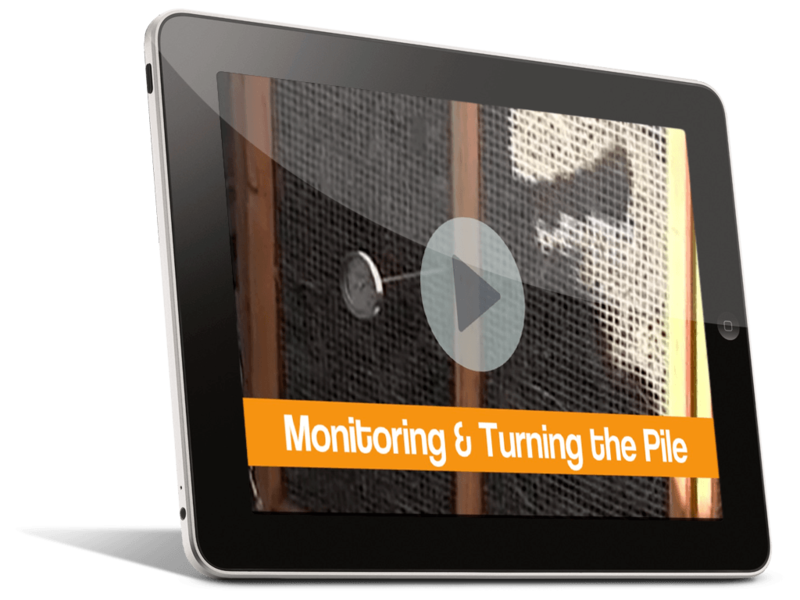 We include useful temperature and moisture guidelines, and a composting worksheet so that you can record what is going on in the pile. » Get Started - Just $67 For a Limited Time! Q: What specifically will I have when I finish this class that I don't have today? A: By the time this workshop is finished, you'll understand the science, the method and practical applications to build dark, rich, high quality compost that will transform your garden. Q: What if I don't have space for a compost pile? A: Where there is a will, there is a way. The compost bins you'll use sit on a standard palette. You'll just need space for two of those. To encourage you, this composting class was filmed in its entirety in a tiny side yard in suburbia. 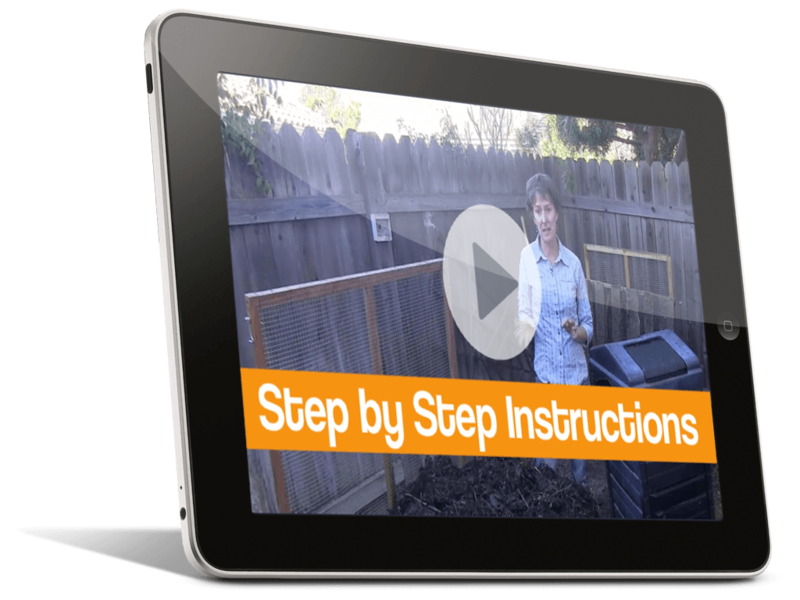 If you wanted Julie's free Getting Started Composting mini-class, that was filmed at an apartment complex. So don't let space hold you back! Q: Will critters be a problem? A: If you are concerned with critters such as raccoons, mice or even dogs invading your compost pile, then simply avoid all food scraps. Julie composts in an area where there is a lot of bear activity and has never had a problem, since food scraps are not used. She saves food scraps for her worm bin. Q: How long does it take to make finished compost? A: With this method of thermal aerobic composting, from the time you build the pile, to the time the thermal process is complete should be between 21 and 30 days. No waiting 1-2 YEARS to get finished compost with this method! A: After you submit your order, we'll email you with the link to create a username and password on the membership site. This is how you will access the members area, which is where you'll find all the video content, download the handouts, and access the training modules. You will also receive an email confirmation of you purchase, for your records. A: In a word: Indefinitely. We find that sometimes we need a reminder of certain procedures if it has been a while since we made our last pile. The Q&A support will, however, extend only 120 days after the initial purchase. This should be sufficient time for you to make several batches and still get answers to your questions. You will have ongoing access to the video lessons and handouts, so you can repeat and re-live the training whenever you like. Q: What if I have never built a compost pile, will this work for me? A: We've designed this workshop to provide step-by-step instructions how to plan, assemble and make high quality thermal aerobic compost. We provide module downloads, and furnish volunteer quizzes so that you can test your understanding. Q: What if I don't live on a farm, where can I get the materials? A: While having some acreage can be a distinct advantage of finding materials, there are a lot of opportunities to gather "unwanted" materials from other sources such as stables and golf courses. A little creativity goes a long way. Q: Is there physical labor involved? A: Yes there is. Sometimes it can be hard on the shoulders to place the materials in the compost bin. Practical solutions would be to build a step next to the bin, build a compost bin that is shorter, or recruit friends and neighbors to help you! Option #3 is the most fun. Q: What if this training isn't a fit, or doesn't meet my needs for some reason? A: No problem. We offer a full 30-day money-back guarantee, so if you register for the workshop, and it's not a fit, we will promptly refund your money. No hassles. Just send an email to support at PSustainable.com, and if you're still within the generous refund period, a member of Positively Sustainable's team will happily process your request. Q: Can I get access to the trainings all at once, or do I have to go through it week-by-week? A: We provide all the training all at once. We find it best if our students go through the entire workshop first, then go back and re-review the modules so that you can plan accordingly before you build the pile, and review all the details during the composting process. A: We are here to help. We're often in the field so may not be immediately available to answer your questions, so the best method is to simply submit any questions you have to our support team via email at: support at PSustainable.com. Also, once you enrolled in the workshop and are building your first pile, we'll provide the support when you need it most.